Thats all. Game finished - Marseille 2, Nîmes 1. Second Half ended - Marseille 2, Nîmes 1. Delay in match - Marseille Video Review. Bouna Sarr - Marseille - won a free kick in defence. Offside - Marseille. Clinton N'Jie with a pass, however Nemanja Radonjic is in offside. Boubacar Kamara - Marseille - won a free kick in defence. Jordan Ferri - Nîmes - won a free kick on the left wing. 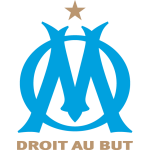 Nemanja Radonjic - Marseille - won a free kick in defence. Shot blocked. Umut Bozok - Nîmes - shot with right foot from outside the box is blocked. Assist - Téji Savanier. Substitution - Marseille. Morgan Sanson for Dimitri Payet. Goal! Marseille 2, Nîmes 1. Téji Savanier - Nîmes - converts the penalty with a shot with right foot to the left corner. Penalty conceded by Boubacar Kamara - Marseille - with a hand ball in the penalty area. Substitution - Marseille. Clinton N'Jie for Florian Thauvin. Substitution - Nîmes. Umut Bozok for Antonin Bobichon. Corner - Nîmes. Conceded by Hiroki Sakai. Corner - Nîmes. Conceded by Maxime Lopez. Corner - Nîmes. Conceded by Bouna Sarr. Missed chance. Baptiste Guillaume - Nîmes - shot with right foot from a diffucult position on the right missed to the left. Assist - Jordan Ferri. Goal! Marseille 2, Nîmes 0. Luiz Gustavo - Marseille - shot with left foot from outside the box to the centre of the goal. Shot blocked. Luiz Gustavo - Marseille - shot with left foot from outside the box is blocked. Shot blocked. Florian Thauvin - Marseille - shot with left foot from the centre of the box is blocked. 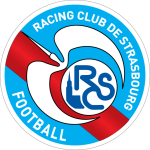 Assist - Bouna Sarr. Goal! Marseille 1, Nîmes 0. Valère Germain - Marseille - shot with the head from the right side of the six yard box to the top right corner. Assist - Dimitri Payet with a cross after corner. Substitution - Nîmes. Gaetan Paquiez for Faitout Maouassa. Corner - Marseille. Conceded by Téji Savanier. Shot blocked. Florian Thauvin - Marseille - shot with left foot from outside the box is blocked. Faitout Maouassa - Nîmes - receive yellow card for a foul. Florian Thauvin - Marseille - won a free kick in attack. Missed chance. Maxime Lopez - Marseille - shot with right foot from more than 35 yards is close, but missed. Assist - Luiz Gustavo. Luiz Gustavo - Marseille - won a free kick in defence. 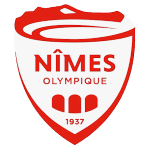 Substitution - Nîmes. Baptiste Guillaume for Rachid Alioui. Offside - Marseille. Dimitri Payet with a pass, however Florian Thauvin is in offside. Paul Bernardoni - Nîmes - won a free kick in defence. New attacking attempt. Sada Thioub - Nîmes - shot with left foot from the right side of the box is saved in the right corner. Offside - Marseille. Florian Thauvin with a pass, however Nemanja Radonjic is in offside. Offside - Nîmes. Jordan Ferri with a pass, however Florian Miguel is in offside. Corner - Nîmes. Conceded by Boubacar Kamara. Second Half starts Marseille 0, Nîmes 0. First Half ended - Marseille 0, Nîmes 0. Missed chance. Téji Savanier - Nîmes - shot with right foot from a diffucult position and long distance on the left is high and wide to the right from a free kick. Faitout Maouassa - Nîmes - won a free kick on the left wing. Denis Bouanga - Nîmes - won a free kick on the left wing. Missed chance. Dimitri Payet - Marseille - shot with right foot from outside the box is close, but missed to the left. Shot blocked. Luiz Gustavo - Marseille - shot with left foot from outside the box is blocked. Assist - Maxime Lopez. Téji Savanier - Nîmes - won a free kick in defence. Corner - Marseille. Conceded by Faitout Maouassa. Missed chance. Florian Thauvin - Marseille - shot with right foot from the right side of the box is very close to the goal. Assist - Boubacar Kamara with a through ball. Florian Thauvin - Marseille - won a free kick on the right wing. Substitution - Marseille. Valère Germain for Mario Balotelli - injury. Delay in match Mario Balotelli - Marseille - - injury. Hiroki Sakai - Marseille - won a free kick in defence. New attacking attempt. Denis Bouanga - Nîmes - shot with right foot from outside the box is saved in the top right corner. Assist - Sada Thioub. Offside - Marseille. Mario Balotelli with a pass, however Nemanja Radonjic is in offside. Shot blocked. Nemanja Radonjic - Marseille - shot with right foot from outside the box is blocked. Corner - Marseille. Conceded by Paul Bernardoni. New attacking attempt. Nemanja Radonjic - Marseille - shot with right foot from the right side of the box is saved in the top right corner. Assist - Dimitri Payet with a through ball. Dimitri Payet - Marseille - won a free kick on the right wing. Duje Caleta-Car - Marseille - receive yellow card for a foul. Rachid Alioui - Nîmes - won a free kick on the right wing. Missed chance. Nemanja Radonjic - Marseille - shot with left foot from the left side of the box is close, but missed to the left. Assist - Bouna Sarr. Maxime Lopez - Marseille - won a free kick in attack. Téji Savanier - Nîmes - receive yellow card for a foul. Dimitri Payet - Marseille - won a free kick in attack. Shot blocked. Renaud Ripart - Nîmes - shot with left foot from outside the box is blocked. Assist - Jordan Ferri. Herve Lybohy - Nîmes - won a free kick in defence. Corner - Marseille. Conceded by Florian Miguel. Shot blocked. Florian Thauvin - Marseille - shot with left foot from the right side of the box is blocked. Assist - Dimitri Payet with a through ball. Jordan Ferri - Nîmes - won a free kick in defence. Offside - Marseille. Dimitri Payet with a pass, however Mario Balotelli is in offside. Corner - Nîmes. Conceded by Duje Caleta-Car. Shot blocked. Florian Miguel - Nîmes - shot with the head from the centre of the box is blocked. 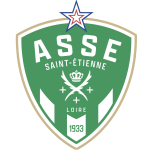 Assist - Téji Savanier with a cross. New attacking attempt. Mario Balotelli - Marseille - shot with right foot from outside the box is saved in the right corner. Assist - Nemanja Radonjic. Florian Miguel - Nîmes - won a free kick in defence. Offside - Marseille. Boubacar Kamara with a pass, however Florian Thauvin is in offside. Offside - Marseille. Maxime Lopez with a pass, however Hiroki Sakai is in offside. 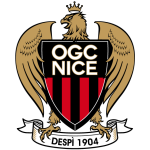 Get real-time football commentaries and full coverage for the Ligue 1 match Olympique Marseille vs. Nîmes, powered by Scorenga.co.uk. 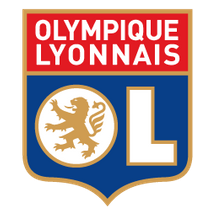 This page is dedicated to one of the most exciting Ligue 1 clashes. Here you will find a summary of the game, standings and photos.